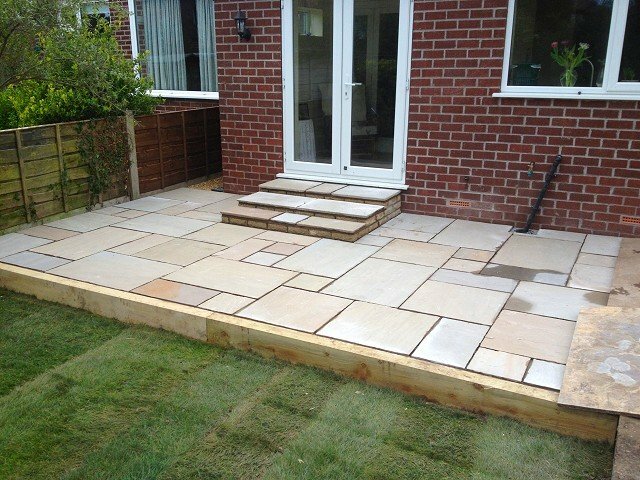 Adlington, Adswood, Alderly Edge, Bramhall, Bredbury, Brinnington, Cheadle, Cheadle Heath, Cheadle Hulme, Compstall, Davenport, Disley, Edgeley, Gatley, Great Moor, Heaton Chapel, Heaton Mersey, Heaton Moor, Heaton Norris, Hazel Grove, Heald Green, High Lane, Marple, Mellor, Offerton, Portwood, Prestbury, Reddish, Romiley, Tytherington, Woodford, Woodley and Woodsmoor. 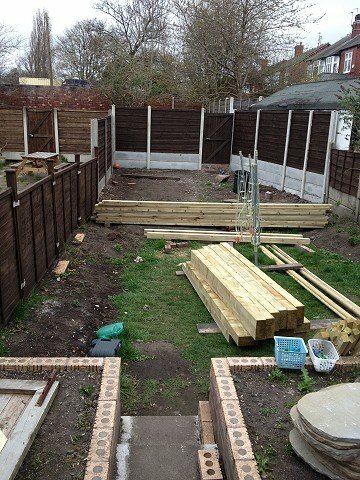 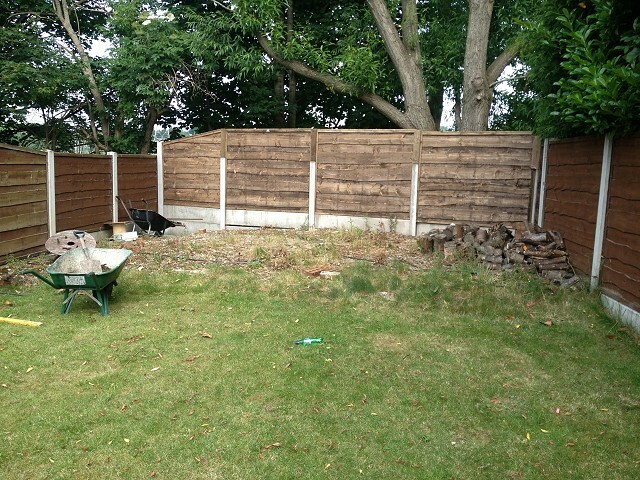 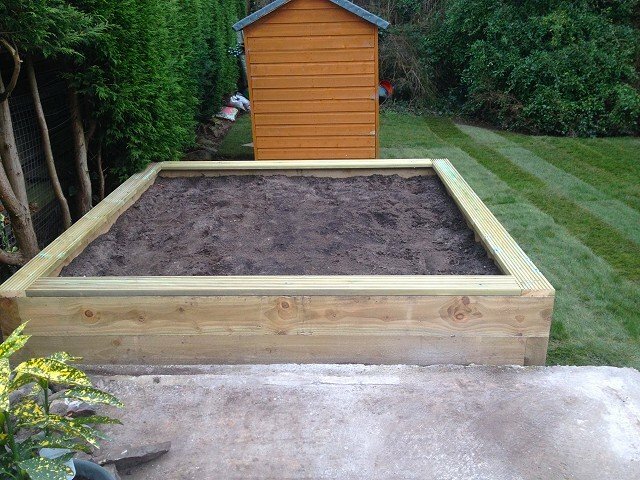 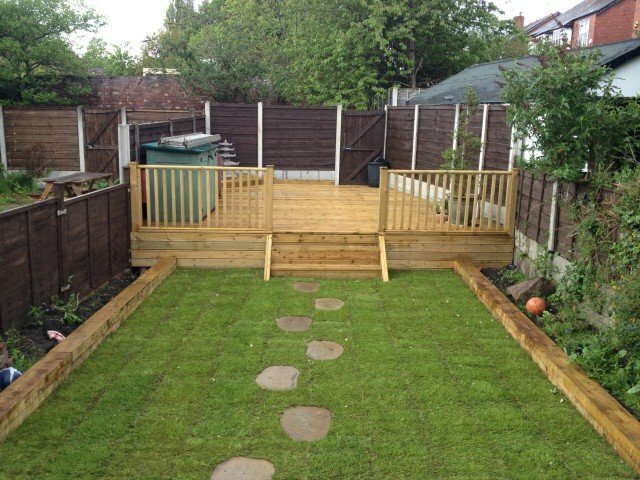 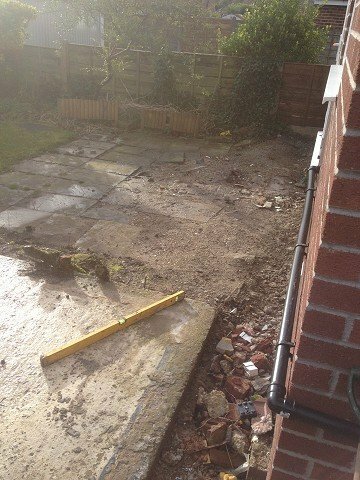 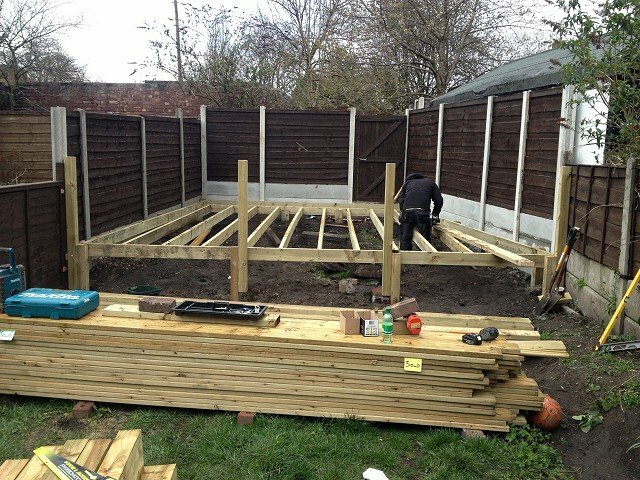 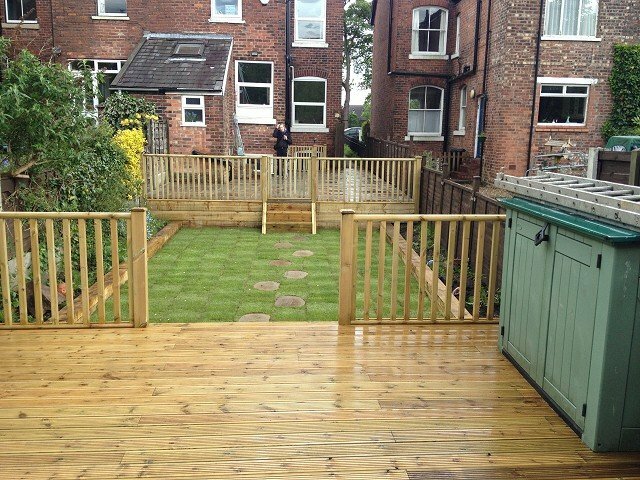 Evergreen Landscaping can provide a garden landscaping, garden maintenance and hedge-cutting service to all of the Heatons in Stockport. 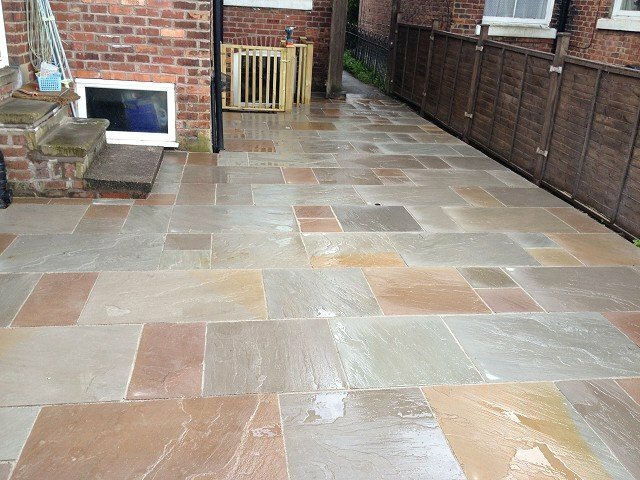 Here's an example of our work from a recent project in Bredbury where we created a brand new Indian stone patio at the bottom of the garden, transforming an unusable area into a place to enjoy the long summer evenings. 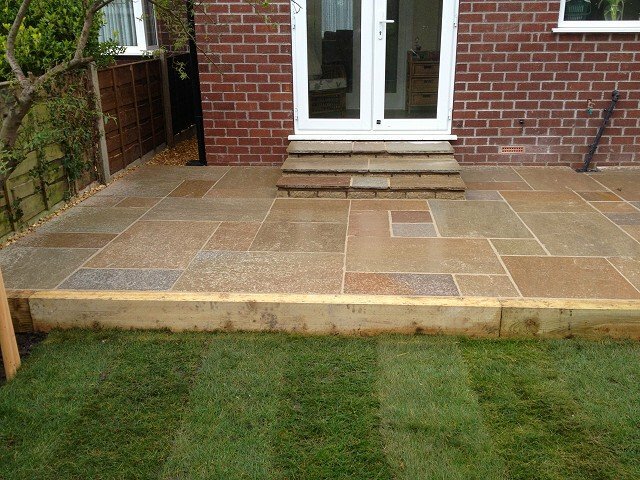 The landscaping work carried out on this Stockport project included all groundworks with new footings and retaining walls constructed from Pre War Commons bricks. 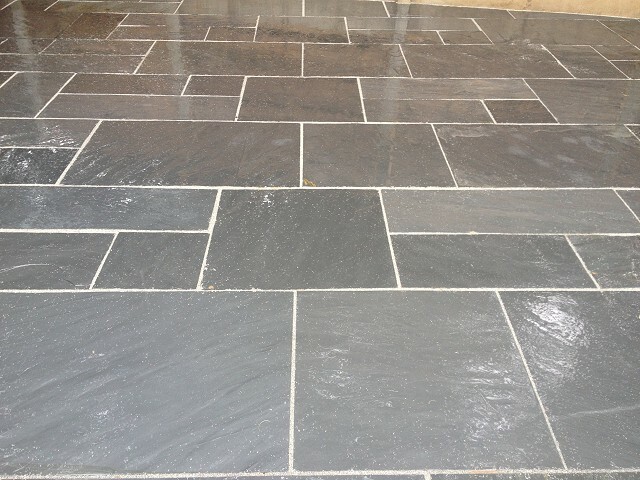 A new MOT base was laid and whacked and the Black Indian Stone paving was laid on a sand and cement mix with resin seal pointing for durability and long life. 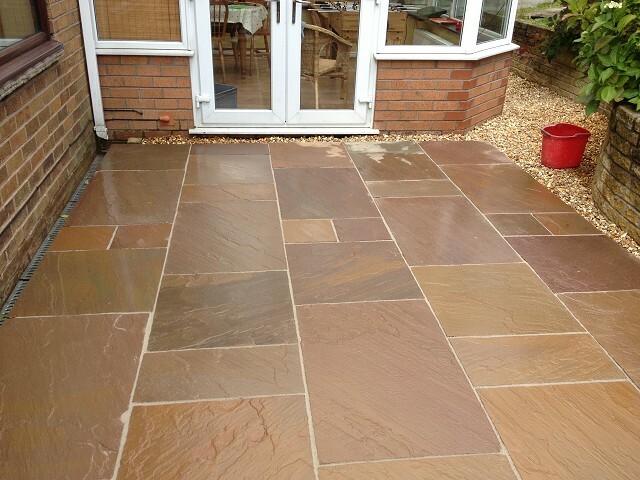 We even installed sunken lighting in the patio surface to make it usable after dark. 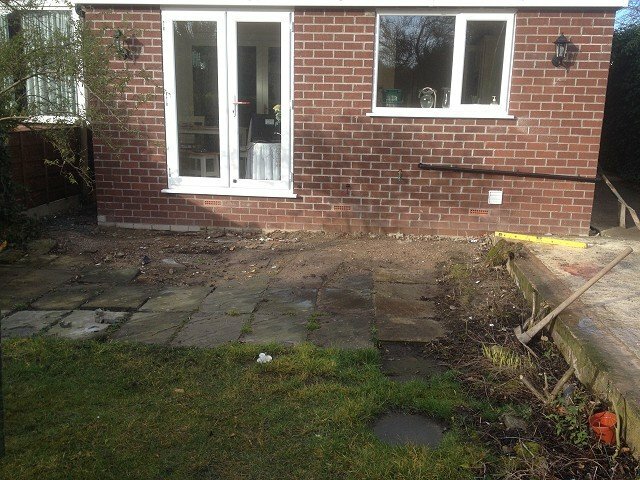 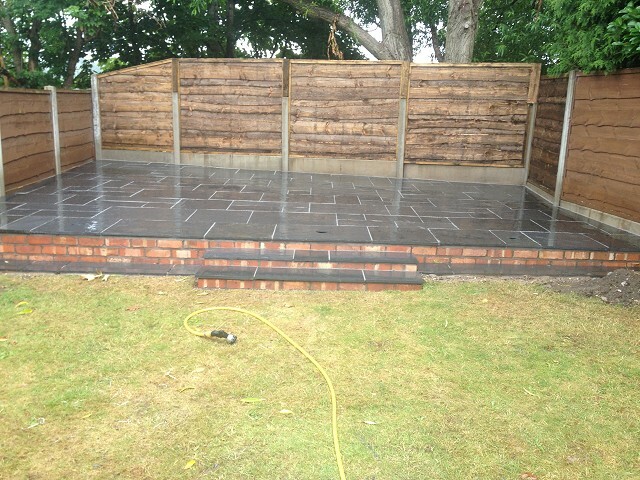 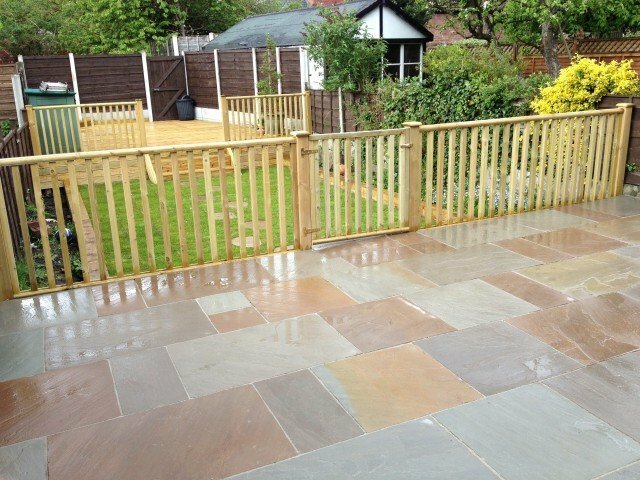 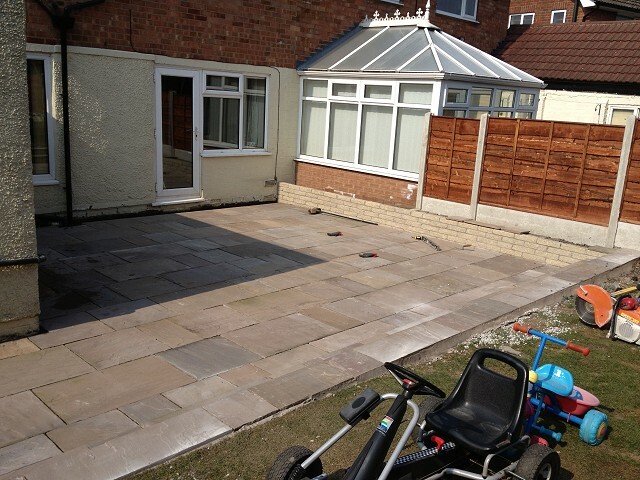 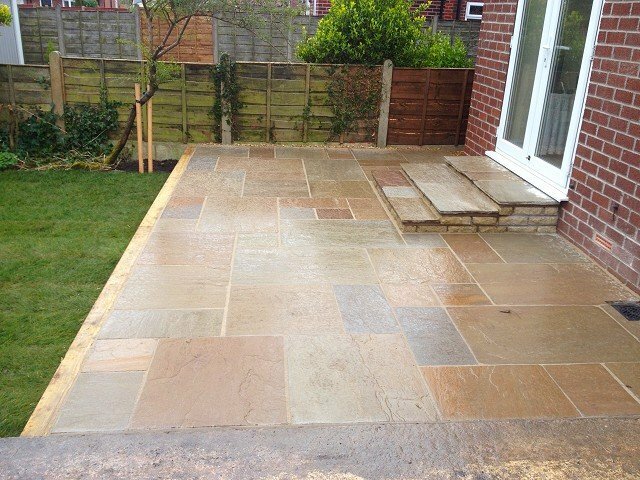 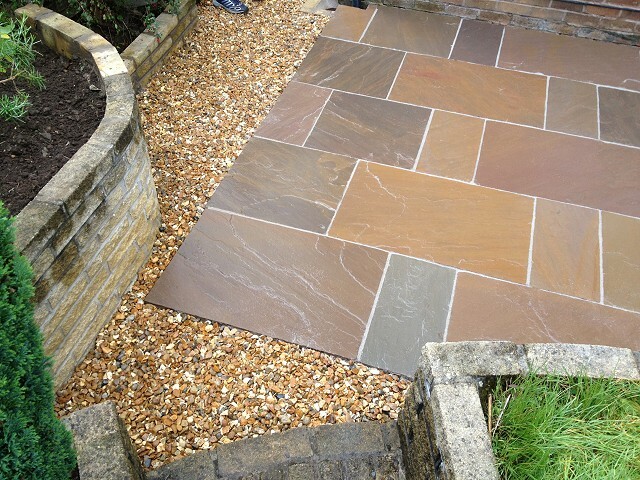 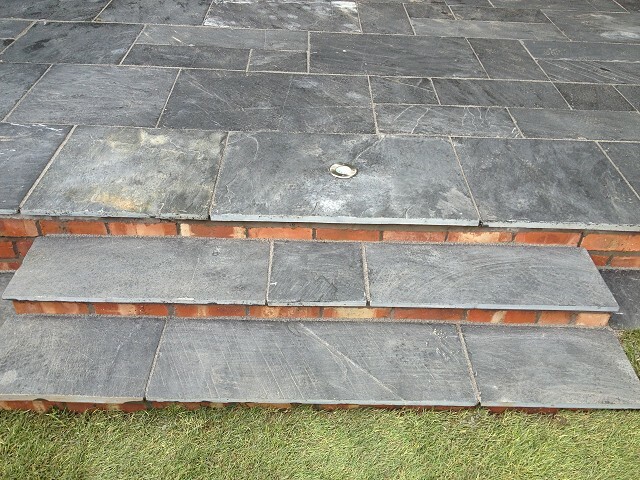 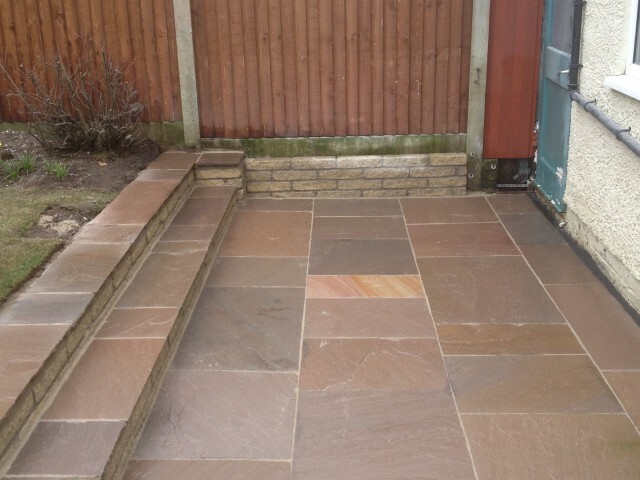 Would a new Indian stone patio like this enhance your Stockport Heatons garden?